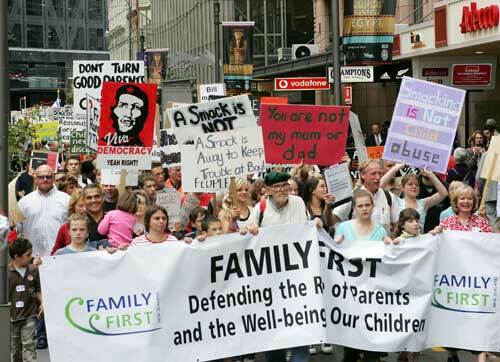 In the early 2000s Family First was one of a number of conservative groups that opposed proposed legislation restricting the use of corporal punishment on children – the so-called 'anti-smacking' bill. Family First declared the measure would undermine parental authority and campaigned to stop it being passed. This included a protest march along Wellington's Lambton Quay in March 2007. The bill became law later that year.